We catch up with SB20 designer, Tony Castro, to find out more about how the SB20 came to be. Tony Castro was born in Lisbon, Portugal, and established his design office in Hamble in 1981, Tony Castro Yacht Design. Tony has designed a wide array of boats, from small family cruisers to superyachts, motor yachts to sailboats of all lengths, including our favourite one-design keelboat, the SB20 – previously known as the Laser SB3, which was launched in 2002. Sportsboat World: How did the SB3/SB20 design come about? Tony Castro: I had designed a similar boat called the ‘1720 Cork One-Design’ that had set the trend towards ‘Sports Boat’ style of racing. Laser was keen to get into bigger boats so they asked me to develop a slightly smaller new design that would improve upon what I had done before. SBW: What were the key aims of the boat? TC: The best possible sports one-design, three-man keelboat. SBW: What is your personal experience in one-design racing? And how did that inform the design? TC: I have raced small dinghies in Portugal since I was very young. I started sailing school proper at eight years old and at 10 I was instructing other kids on Saturday afternoons! I won my first Portuguese championship as a crew member at 12 years old on a three-man boat similar to the Etchells, and won four more Portuguese championship titles in Snipes and 420s as helmsman. I also sailed Moths, Finns, OKs, Stars and Dragons, until I came to the UK to study when I was 18. Then big boat sailing started. I have not sailed small dinghies much since, except Dragons, but I also designed and won the Irish National 18s Championship once. SBW: Were sailors consulted during the process? How did their input affect the final design? TC: Yes we had a small team that Tim Coventry (at the time, manager of Laser) put together, got input from Hyde Sails and Selden Masts etc, and we test sailed the boat for three months every day – literally! SBW: What elements of the design process were most challenging? TC: Fine-tuning the hull shape in order to make the performance profile we wanted. SBW: What elements of the design are you most pleased with? What do you think are the class’s biggest strengths? TC: I am most pleased to have achieved what we set out to do. This was a boat designed for an event and not the other way around. This was not a case of designing the fastest boat possible but a boat that had a very precise set of characteristics. We wanted it to be a sociable kind of racing, not hanging for dear life off the lifelines! Easy to sail by anyone. Stiff and well behaved up to 30 knots TWS. We did not want athletes to have an edge, nor money to influence the results. A true one-design where anyone can be competitive and the pros don’t have an advantage. SBW: Is there anything you’d change, with hindsight? TC: Believe it or not this is a difficult question to answer, because nothing comes to mind immediately. SBW: How much opportunity did you have to sail the SB20? TC: We sailed it during the testing and I have done the odd race when I am not working! SBW: Do you have a favourite SB20 sailing memory? TC: Yes, planing for what seemed like forever in 29 knots TWS in the Solent during our early testing, and being able to enjoy it. SBW: Do you plan to race again in the fleet in future? Might the 2017 World Championships in the Solent tempt you back? 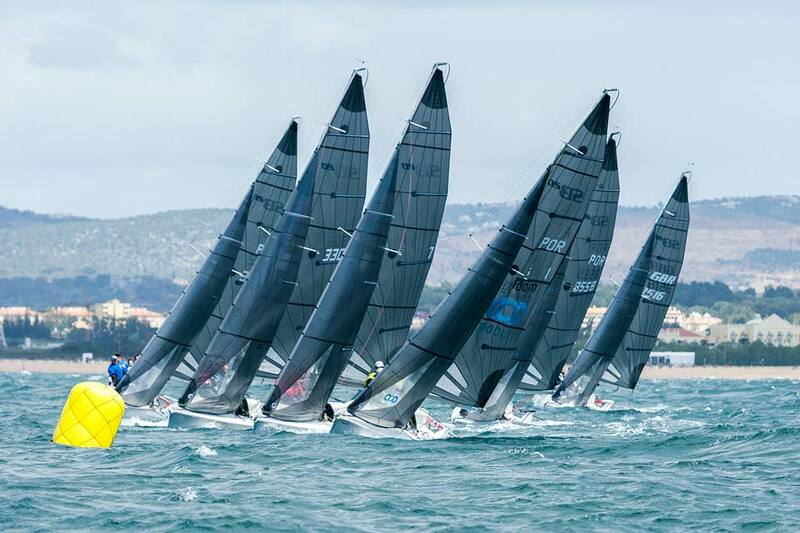 TC: The 2016 Worlds in Cascais might! SBW: Are you surprised by the longevity of the class and its global expansion? TC: No I am not surprised, because the SB20 from the outset had a strong set of priorities that I believed in, that went beyond the boat design itself. It has an outstanding group of people running the class. SportsBoat World gives timely support, we have a great builder, the events are the best of any class and we care about our sailors and work hard to satisfy them. SBW: Anything else we should know? TC: I am committed to continuing the success of the SB20 in every way possible. Every so often I will push for updates and small changes to keep the class fresh and attractive, and I shall continue to be the guardian of the principles that make the SB20 arguably the most successful small keelboat ever. This interview was originally published in December 2015.